Starhill Gallery is a lifestyle destination with seven levels of retail, each offering a different and unique experience. Located in Bukit Bintang, Kuala Lumpur's premier shopping and entertainment district, Starhill Gallery features a high-profile tenant base with some of the most recognised international designer labels as well as luxury watch and jewellery brands, attracting affluent tourists and high-end shoppers. Starhill Gallery is connected to two luxury hotels, the JW Marriott Hotel Kuala Lumpur and The Ritz-Carlton Kuala Lumpur. Starhill Gallery houses flagship stores of watch brands such as Audemars Piguet, Chopard, Bedat & Co and Richard Mille. Its annual "A Journey Through Time" exhibition is a major event for watch aficionados around the world. Starhill Gallery is a shopping centre comprising part of a seven-storey building with five basements and a 12-storey annex building with three basements. 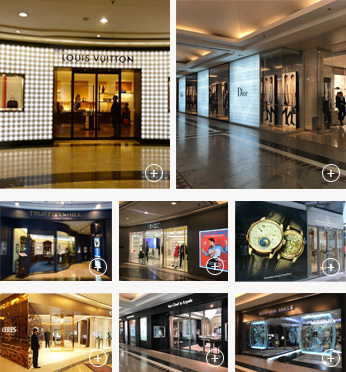 Luxury mall that targets affluent tourists and high-end shoppers. Master lease with Katagreen Development Sdn. Bhd.